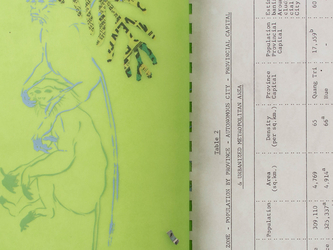 Tammy Nguyen presented her work "Primate Cities", a duet of artist books, at the 2016 Engaging with Vietnam Conference at the University of Hawaii at Manoa. Her books were inspired by a 1969 US military document that proposed a strategy to develop Danang City as a second metropolis to Saigon after the Vietnam War. The transcript is downloadable here.